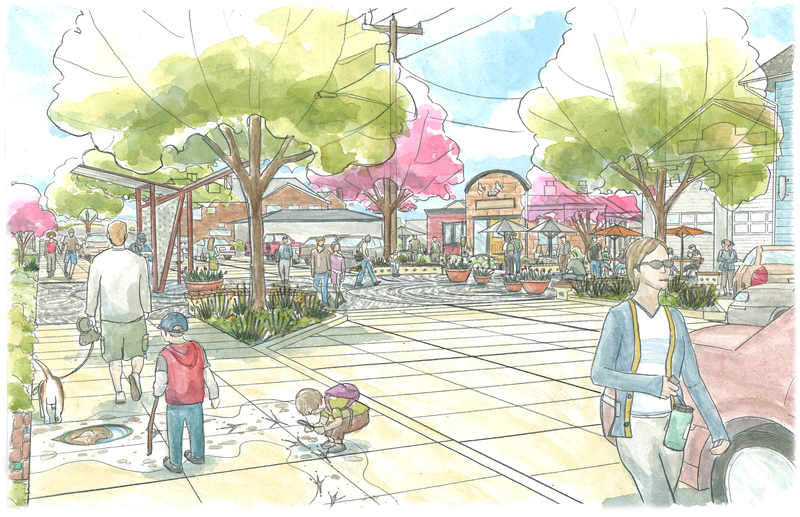 The city recently received the 30% design plans for the Second Street Project. The plans are based on the preferred alternative selected during the Phase I conceptual design process. The plan includes expanded sidewalks, a central plaza in front of the firehouse, an option to relocate the full size truck loading zone to in front of the US Bank, an overlook towards Saratoga Passage and the Cascades at the top of the street, way finding to and from public parking, improved crosswalks and extensive landscaping. The middle section of the street will be concrete and the central plaza will be curbless (i.e. the road and plaza area will be the same grade). A bus stop will be provided on the north side of the central plaza, but the main bus stop on Anthes will remain. The design and engineering for the project is scheduled to be completed by January 2013. The city is actively seeking funding for the project through a variety of sources and the construction schedule will largely depend on the city’s ability to secure outside funding. The city will provide information as it becomes available. As always comments are welcome! Please use the form below to send your comments and/or questions directly to the planning department.